The Catalog is a great place to get ideas for projects, but sometimes you don’t have the right supplies or you just don’t want to make something quite that large. Don’t be afraid to take an idea out of the Catalog and put your own twist on it. 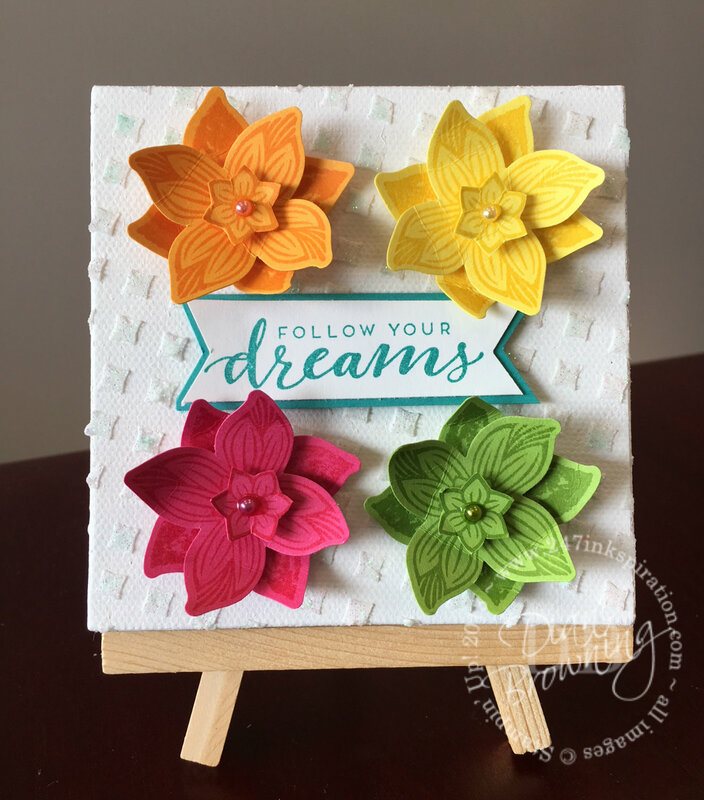 A few weeks ago I shared a canvas that I made using the new Pop of Petals stamp set and tons of flowers. You can see it here. A project like this can take a fair amount of time and work to make. I came up with an idea on how to recreate it on a much smaller basis. And it won’t take you hours to make it. This canvas is 4 x 4″. I used the same colors of flowers and pearls on this canvas as I did on my larger canvas. I created the same background with the stencil and the shimmery embossing paste. Once the paste dried, I put the stencil back over the top of the canvas, so the only open areas was the paste. Then I sponged the canvas with ink. I sponged it super quickly, not worrying about whether or not I was getting even coverage with the ink. I like how it has darker and lighter areas. Instead of the “love what you do” sentiment on that I used on the larger canvas, I used “follow your dreams” here just for something different. 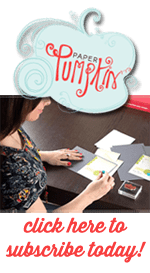 Stampin Up has three great promos this month. The first is an amazing offer for brand new Demonstrators. Sign up to join my Team in July and you will get your choice of ten free ink pads in addition to your Starter Kit. For the ink pads, you can select either the two In-Color Assortments or one of the four Color Families – Brights, Regals, Subtles, or Neutrals. Who doesn’t love FREE products? That is $67.50 in free ink pads in addition to the $125 of products you’ll select for your kit. That’s $192.50 in products all for just $99. Whoa! Talk about a deal! Our second special for July is our annual Paper Sale. It’s an incredible offer of buy 3, get 1 free on select packs of Designer Series Paper, this is a great time to stock up. 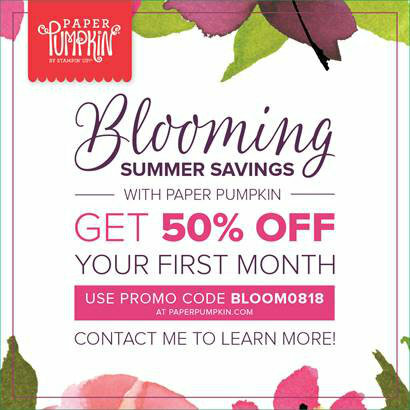 Our third promo is a Paper Pumpkin special for new subscribers only. Subscribe between July 11–August 10 and you’ll get 50% off your first kit. This is for new month-to-month subscribers only and cannot be applied to prepaid codes. If you’ve had a prior Paper Pumpkin subscription sent to you then you are not eligible for this one. The 50% discount only applies to the new subscriber’s first kit shipped. After that, the price for each month’s kit will return to the regular price of $19.95.